Dermot boasts 44 awards, on average four every year, since 2007. His awards include The Irish Association best chef in Tipperary, Food and Wine Magazine best Chef in Munster, Georgina Campbell hideaway of the year and is in the top 100 best restaurants in Ireland in The Bridgestone guide. Please see attached list of specific awards. 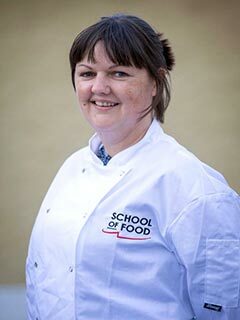 Janine is a Canadian chef and food writer, currently residing in North Tipperary. She is a graduate of Acadia University and the prestigious George Brown College Chef School in Toronto. Janine has accrued over ten years of industry experience, mostly as an opening chef for Toronto restaurant giants Oliver and Bonacini. She is a regular contributor to Irish Country Living and Foodservice and Hospitality Magazine and maintains a well-established food blog. Janine Kennedy is a professional chef, writer and communications specialist with over 15 years of experience in the hospitality industry. Originally from Canada, Janine moved to Ireland in 2013. She lives on a dairy farm in Tipperary with her husband and three children. 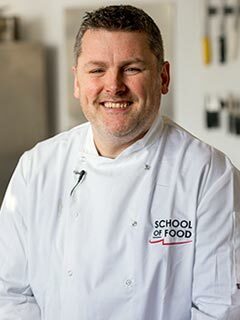 Éadaoin Walsh is a passionate, professionally trained pastry chef and has been involved in the School of Food since its inception. 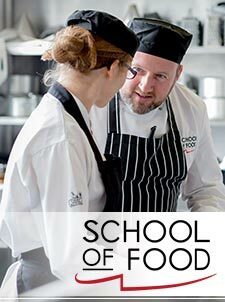 Having completed a BA in Culinary Arts in Waterford Institute of Technology specialising in Pastry and Desserts, Éadaoin then went on to attain a distinction in a Train the Trainer Certificate Course, and a Post Graduate Certificate in Innovation, Enterprise and Entrepreneurship at UCD. Éadaoin previously ran her own business called Éadaoin’s Kitchen, which was based in Thomastown and supplied many of the local shops and supermarkets with a variety of delicious baked treats. 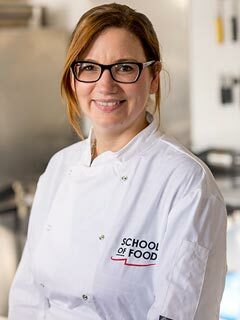 Éadaoin is now a tutor at the School of Food, and teaches her students in a very caring and encouraging way.